On the eve of St Patrick's Day, what could be better than an Irish fiddler? From New York we introduce Dublin-born Gregory Harrington who has performed to wide critical acclaim on both sides of the Atlantic. At present promoting his CD "Reflections" throughout America and Australasia, he will be accompanied by the dynamic young Irish pianist Isabelle O'Connell, who received a standing ovation for her Carnegie Hall debut in 2002. 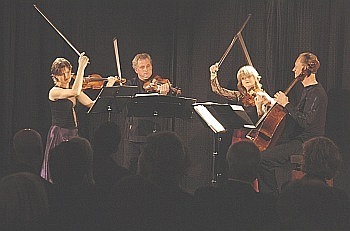 They will perform Brahms' Sonata No 3, the Bach D minor Chaconne and a dazzling array of favourite "encore pieces". "SPECIAL SATURDAY EVENING CELEBRITY RECITAL"
We are extremely proud to present the mighty Pascal Rogé, one of the finest pianists of his generation and a legendary interpreter of the French piano repertoire. 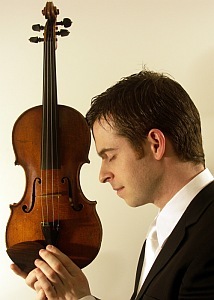 He will be joined by his duet partner Ami Hakuno in a concert of solos and duets by Debussy, Ravel, Fauré, and Dukas. Please note: This concert is not part of the subscription season and special prices will apply. Bookings are essential. 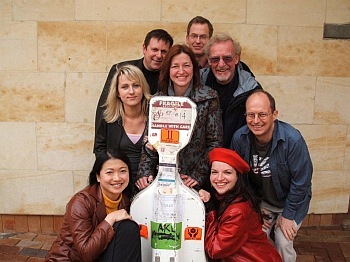 A welcome return visit from New Zealand's premier chamber group, back from further critical acclaim both at home and abroad. Helene Pohl and Douglas Beilman (violins), Gillian Ansell (viola) and Rolf Gjelsten (cello) offer us a delectable programme including the quartet that Mendelssohn called his favourite - Opus 44 No 1, plus a new commission by young Auckland composer Victoria Kelly and Schubert's most glorious quartet "Death and the Maiden". 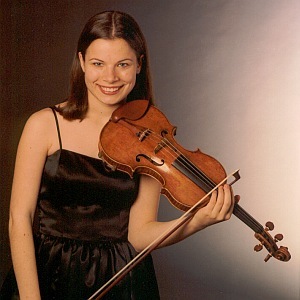 Winner of the 2007 Michael Hill International Violin Competition, Bela Hristova was born in Bulgaria in 1985 and moved to the United States at the age of 13. Since then she has achieved a string of successes in studies, in competitions and in highly acclaimed concert appearances. New Zealand's favourite pianist Michael Houstoun will accompany her in a varied recital: Sonata "Devil's Trill" (Tartini), Sonata for Violin and Piano (Ravel), Selected Hungarian Dances (Brahms), and the Kreutzer Sonata (Beethoven). As well as two stunning piano recitals, plans are afoot to hold further piano activities such as master-classes during this week. 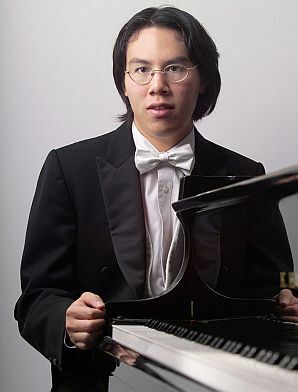 The most exciting young pianist to emerge from New Zealand in decades, John Chen needs little introduction. We will be privileged to hear the same programme that he will play a few days later in Sydney when, as previous winner of the Sydney International Piano Competition, he has the honour of giving the opening recital of this year's competition. That programme is: Mozart - Sonata K311, Ravel - le Tombeau de Couperin, Dutilleux - Prelude No 3, and Brahms - Variations and Fugue on a Theme of Handel. 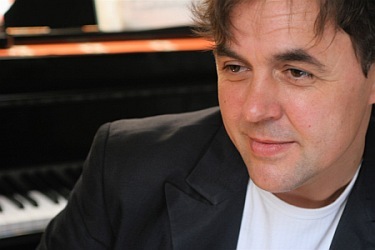 Born in Baku in the former USSR, Oleg Marshev received his musical education in Russia and in the early 1990s had several major successes in competitions in Russia, Europe and the US. Now resident in Italy, he has an impressive international career of concerts, master-classes and recordings. Included in his concert will be works by Brahms and Liszt, Chopin's Opus 34 Waltzes and Ballade No 4, and some tempting offerings by Scriabin, including the seldom played masterpiece Vers la Flamme. A new name and new faces - but actually two expatriate New Zealanders and a Frenchman who first joined forces at the 2006 Edinburgh Festival. 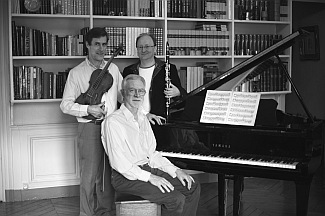 Long absent from their homeland, pianist Richard Beauchamp and viola player Donald O'Neil welcome the chance to introduce New Zealand audiences to outstanding French clarinettist, Jean-Michel Bertelli. Alfred Uhl's brilliant display piece for clarinet will feature in a programme that also includes works by Mozart (Kegelstadt Trio), Rebecca Clarke and Schumann (Fairy Tales). "WAIKANAE MUSIC SOCIETY'S 30th ANNIVERSARY CONCERT"
To celebrate our 30th Anniversary no other group will do except Donald Armstrong's Amici Ensemble, making their 15th Waikanae appearance. Their programme is irresistible - Tchaikovsky's gloriously romantic Souvenir de Florence and Mendelssohn's wonderful Octet for Strings. They will also present the premiere of our 30th Anniversary Commission, a new Octet by well-known composer and Kapiti resident Kenneth Young (with funding from Creative NZ). Joining Donald for this concert will be Haihong Liu, Kristina Zelinska and Christina Vaszilcsin (violins), Vyvyan Yendoll and Lindsay Mountfort (violas) and Rowan Prior and Euan Murdoch (cellos). Haihong Liu and Zhongxian Jin (violin and viola from the Aroha String Quartet) return with a very distinguished line-up of friends - popular pianist Diedre Irons, the NZSO's brilliant principle double-bassist Hiroshi Ikematsu, and cellist Rowan Prior. 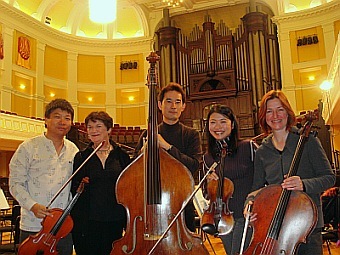 They will close the 2008 season in style with their most attractive programme of Rossini's String Sonata for violin, viola, cello and double bass, Hummel's Piano Quintet Opus 87, and probably the best loved chamber work of all time - Schubert's Trout Quintet. Saturday 7 June, 2.30pm for junior/intermediate level, and 7.30pm for advanced. Saturday 1 November, 4 to 5.30pm. "These pages were last updated on October 28, 2008"
The contents of this site are being continually updated. Please "refresh" your browser regularly to see these changes.